Brand new here. I have a 2017 Grizzly and would love to switch my oil over to preferably Mobile 1. I have around 50 hours on it now. Thank You for your advice. Any type that states "Energy Conserving" will lead to early failure of the wet clutch in your Grizz. There are lots of posts on here about oil both Synth and Dino. Best bang for the buck seems to be to buy it by the gallon at your local Wal-mart instead of paying the ridiculous price at the dealer. The owners manual has a good chart in it for what weights are good for the temperature range you ride in most. Welcome to the forum. Look for JASO MA or MA2 rating on the bottle. Otherwise you risk an angry wet clutch. I would beg to differ. I have a cousin who is a chemical engineer for a competitor. He told me directly, that the best oil on the market (at that time) was mobile 1. It was better than anything his company could produce. His words were "we can't touch it." Now this was a few years ago, and I'm sure things have changed some, but yes, there ARE differences in oils. Look into rotella T6. lots of guys have used and had great performance from it, myself included. Welcome to the forum. 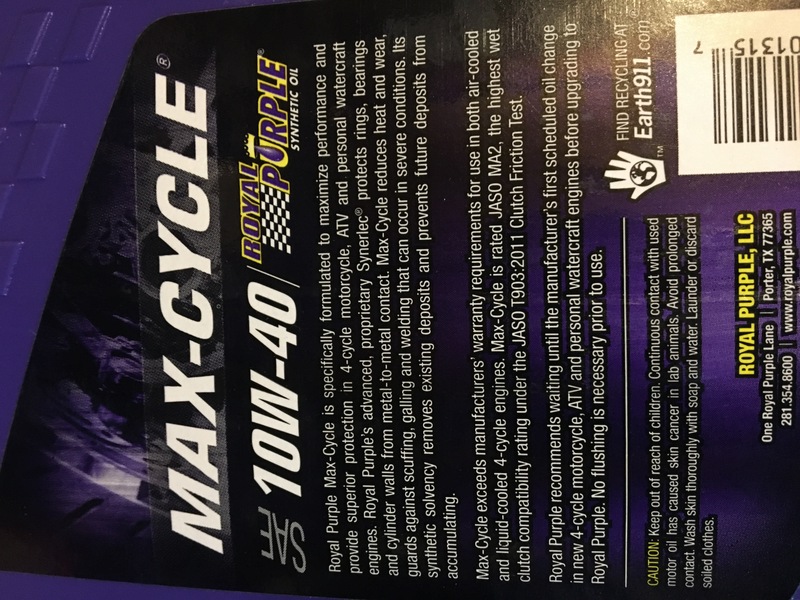 Since you specifically asked about Mobil 1, 4T is the stuff you want to run that is JASO-MA spec: https://mobiloil.com/en/motor-oils/m...motorcycle-oil your grizz will do just fine with it. Though I am like the others mentioned and run Rotella T6, I'm certainly not going to tell you how to spend your $$. What climate are you in though? Proper viscosity depends on that. Not what all the test results I have seen indicate. Amsoil and Mobil 1 are consistently in the top 3 rankings in all tests results, always exceeding requirements. No other brand does that, others may excel in one or two tests but flat out fail other parts of the testing. Lucas, Royal Purple don't even stay in the top 5 of all the tests. All conventional oils may have the same base petroleum but their additive packages is where they differ greatly. Again brand does not matter, I get whatever is the cheapest. Currently my vehicles run super tech synthetic. Show me one, just one engine that failed because of the wrong brand of oil. It has never happened. Never will. As long as the viscosity is the proper type that is all that matters. Again, It does matter, now to what extent is up to each to decide. Proper use of Amsoil or Mobil 1 and the corresponding filter and you can expect the least amount of engine wear and therefore the longest possible life for that engine. Besides superior engine protection, operating temperatures and fuel mileage are usually better with those same oils. Can you use cheap oil and get a decent engine lifespan, of course if you change it often enough and use a quality filter and don't encounter any severe operating parameters. Oil analysis won't tell you if one oil is better than another. You have to send in a base line of any oil you are running in a motor then send in additional samples periodically to see if the motor is contributing higher particles and of what. You would have to build identical motors, lubricate them with the oils of interest then operate them identically and send in oil samples periodically for analyse to show one oil is performing better than the other, very costly. I believe the independent oil tests are a much better indicator of an Oils quality. The tests are better controlled and repeatable. Mobil one has an ATV oil for wet clutches that is synthetic just expensive. My 686 engine rattled the valves with the mobile one ATV oil. Whatever you put in your machine better meet and have on the bottle the JASO-MA oil ratings so it want mess up your wet clutch. Anything other than JASO oil will void your warrant if you have one. 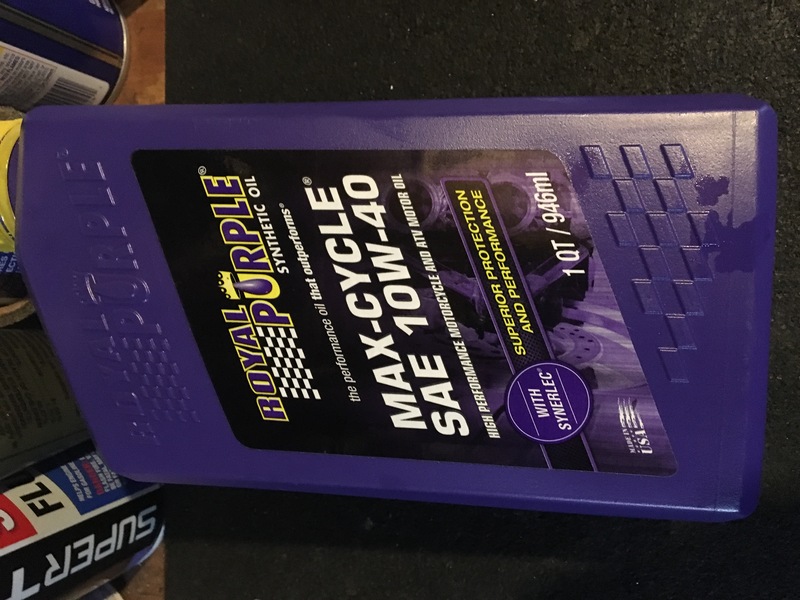 I run royal purple 10w40 synthetic oil Max cycle SAE 10w40. I have 4000 miles on my 2014 700 griz. Here is the oil that has worked great for me. This can be a big can of worms, some run oils that meet the standard rating the engine calls for and get by just fine and save a few bucks, others want the best oil you can buy that exceeds the standards that their engine calls for to put in their engine, which is fine also but you will pay a bit more for that oil, so what to do? I always buy oil that "exceeds" the standards for your engine not oil that just "meets" the standards for your engine, a example for this would be... on a scale of 1 to 10 a oil that just "meets" the standard requirements for your engine would be around 4 on that scale, a oil that "exceeds" the requirements for your engine would be around 8+on that same scale, keeping in mind no oil is perfect, with both these types standards of oil will Yamaha warranty your new engine if a failure occurs.. yes.. BUT.. they have the right to test your oil you are using if its not Yamalube and if they find that the oil you used caused the problem even though it met the standards then "YOU" will have to go after that brand oil company YOU USED to get reimbursed for the engine job, not Yamaha, so good luck with that, so in saying all of this my recommendation is just stick with Yamalube at least till your warranty is up, heck Yamalube is a very good oil, I run nothing else but. 2 Attachment(s) Is this normal?